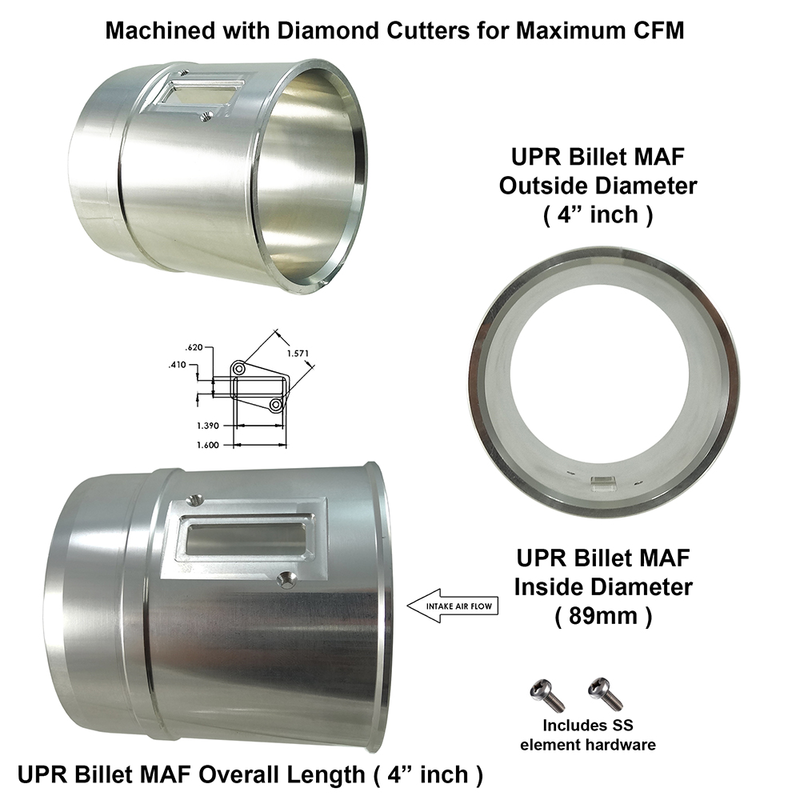 UPR 89mm ID Slot Style Billet MAF housing for 05+ Mustang MAF sensors. Ideal for naturally aspirated and roots style superchargers including the TVS, Roush, Saleen and Magnacharger. Installs in 15 minutes and includes sensor mounting hardware.